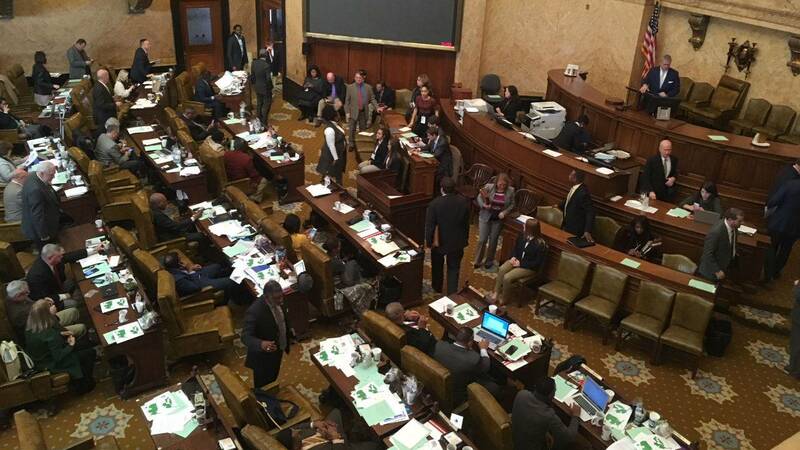 A bill in the state House designed to help those addicted to opioids is drawing concern from Mississippi law enforcement. The Opioid Crisis Intervention Act would allow those addicted to opioids to receive medication assisted treatment while going to drug court. Often an opioid is used in treating addiction. Right now that's not an option. House Republican Dana Criswell of Olive Branch, co-authored the bill. "Cause right now if you're in the drug court program if you test positive for any drugs you're out, even ones that are helping them get off that a doctor prescribed," said Criswell. Criswell says the bill expands the existing Good Samaritan Law, which allows someone to call 911 for a person who has overdosed, even if the caller is abusing drugs. He says that prevent people from leaving someone to die because they're afraid of being charged with a crime. This bill includes provisions like keeping the caller from being penalized if they're on parole or probation. John Dowdy of the Mississippi Bureau of Narcotics says expanding the law could lead to abuse. "What I don't want to have happen is individuals who are out there selling heroin or fentanyl and they're allowing someone to shoot up in their home, to then be able to call 911, and get some type of immunity for that," said Dowdy. The bill would also allow someone addicted to opioids who breaks into a vacant home, to go to drug court if the homeowner agrees. Representative Criswell says he expects some changes to the proposed legislation but thinks it will pass.